New York : HarperPaperbacks, 1992. The sixth book in Tony Hillerman's Navajo Mystery Series, The Ghostway is the third novel featuring the protagonist Sergeant Jim Chee of the Navajo Tribal Police. This edition was published by HarperPaperbacks, a division of Harper Collins Publishers. The cover was designed by Peter Thorpe, who designed and illustrated over 40 Hillerman editions. 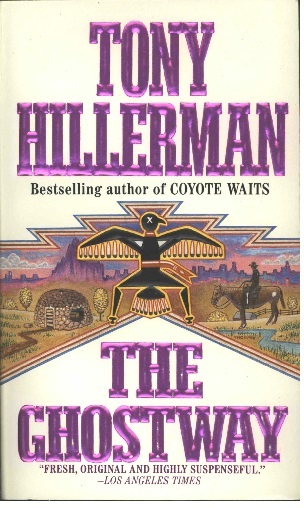 Thorpe began designing covers for Hillerman's novels in 1986 and his work has become the iconic imagery associated with Hillerman's work.